Open to residents of the United States aged 18 or older. Limit one entry per person per quarter. 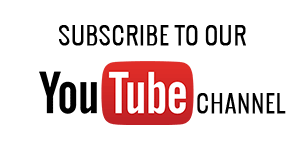 Winners will be notified by telephone and postal email. PC/Notebook usability rating: 4/5. About 5 minutes to finish, 1 open question, need receipt. Tablet usability rating: 3/5. No mobile page for Tablet. 1 open question, need receipt. Smartphone usability rating: 2/5. No mobile page for smartphones. 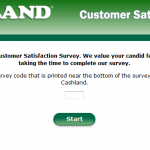 You can still finish Cashland Customer Satisfaction Survey via smartphone. It may take more than 5 minutes to finish. Cashland is a brand under Cash America in the United States since 2003, operating more than 150 locations throughout Ohio, Kentucky, Michigan and Indiana. Cashland is a provider of cash advance/short-term loans and check cashing services, as well as low-cost auto insurance and money orders and transfers through Western Union. Cashland even offers gold buying at many locations. Always polite and pleasant. Lisa is always so sweet! I love cash land, always great deals.